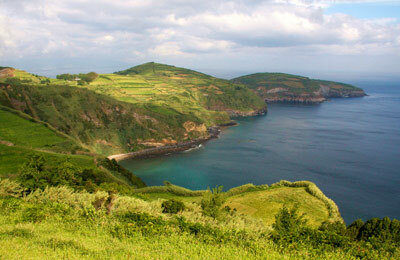 You can use Aferry to book an Atlanticoline ferry between the Azores islands off the coastline of Portugal. Aferry always has cheap prices for Atlanticoline ferries and the latest special offers. You can use Aferry to book Atlanticoline ferries to Porto Horta, Porto de S. Roque, V. Praia, Porto Velas, Villa do Porto, Ponta Delgada. See below for the latest Atlanticoline prices and sailing times. Click on your ferry route for a detailed Atlanticoline timetable. 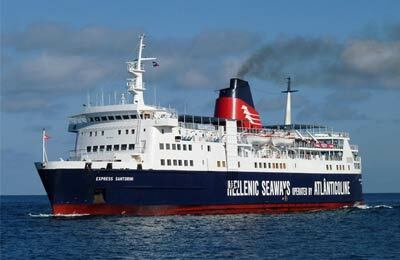 Atlanicoline stated operating in 2005 with two ships names "Ilha Azuk" and "Experess Santorini". In 2009 they also introduced a High Speed Craft called "viking". This has allowed them to transport both vehicles and passengers at the same time and in greater comfort. Now the ships are named "Santorini", "Ariel" and "Hellenic Wind". On board the ships you will find a catering area, shops, cabins and areas to relax throughout your journey. How long before departure should I arrive for Atlanticoline Ferries? Port Address: Terminal Marítimo do Porto da Horta. 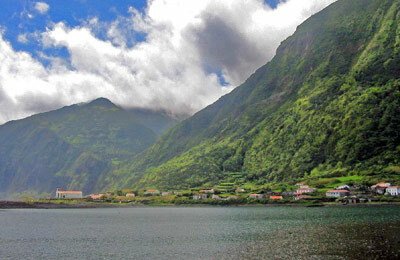 Angústias, Conceiçao.